Toughened or tempered glass is a type of safety glass processed by controlled thermal or chemical treatments to increase its strength compared with normal glass. Tempering creates balanced internal stresses which cause the glass, when broken, to crumble into small granular chunks instead of splintering into jagged shards. The granular chunks are less likely to cause injury. Ha ha, not picky at all. Thanks for the info Seattleite – I’d thought it to be laminated because I’m almost sure that I recall seeing that the “small granular chunks” were made from two pieces of glass that were bonded. 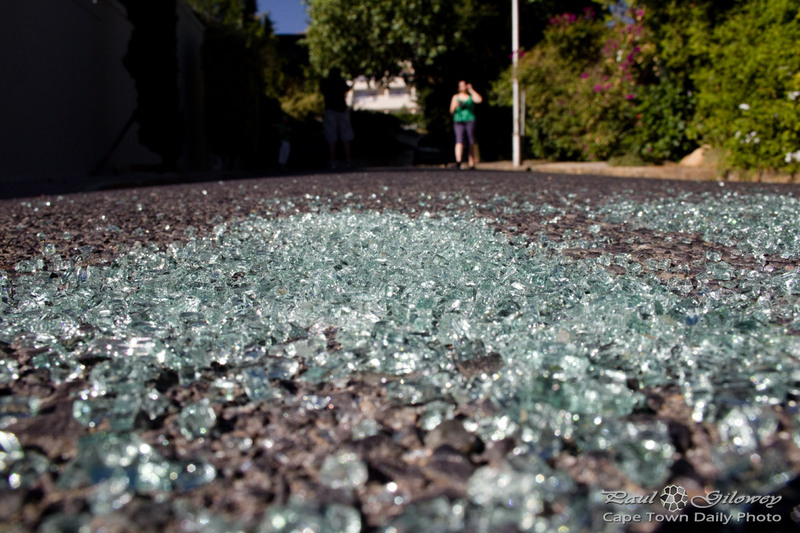 That said, you’re right of course, the glass is toughened – normal laminated plate glass could still be fairly dangerous if broken.